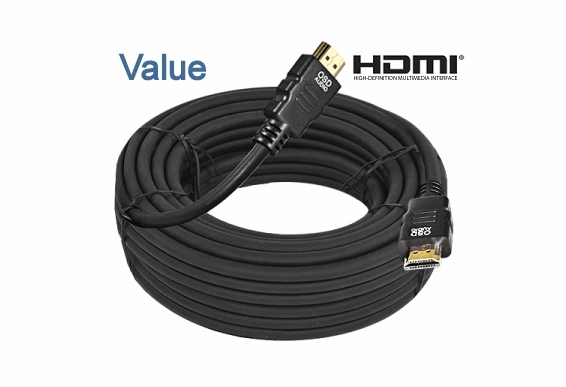 There’s a lot of misconception out there about HDMI® cables. 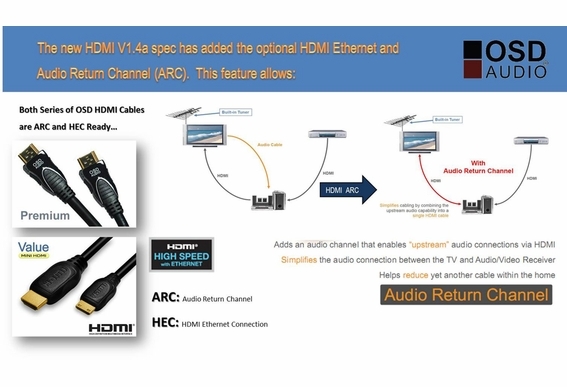 Some retailers and manufacturers will try to convince consumers that expensive HDMI® cable will give them the best picture and audio, but what you’re really paying for is fancy packaging and clever marketing terms. 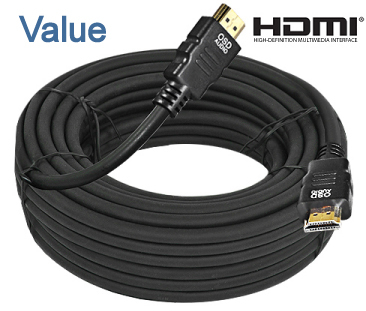 HDMI® cable labeled High Speed with Ethernet is the latest, most up-to-date cable on the market. 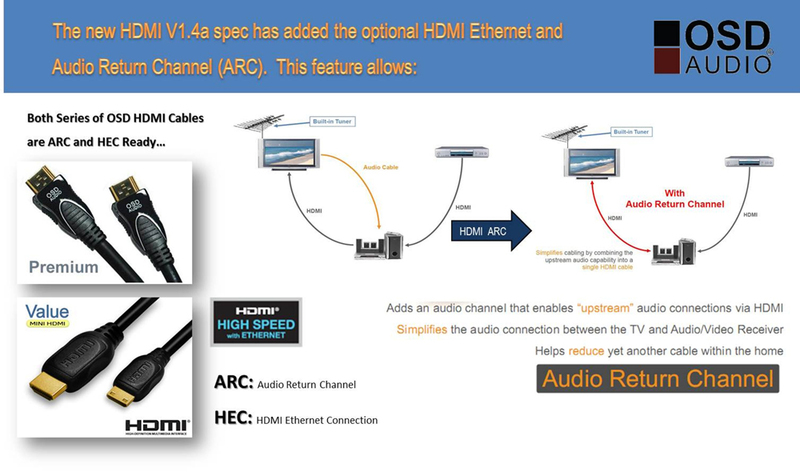 High Definition Multimedia Interface combines video and audio into a convenient digital interface and the signal will not degrade. OSD HDMI® cables transmit frequencies up to 10GHZ bps and both OSD Value and Premium versions of HDMI cable support 3D and 1440P. Can the cable be run outdoors from one area to the other and stand up to weather? do you have one that is 35 or 36 ft?